Industrial strength and environmentally friendly all-purpose Citro Squeeze is tough on grease and grime. 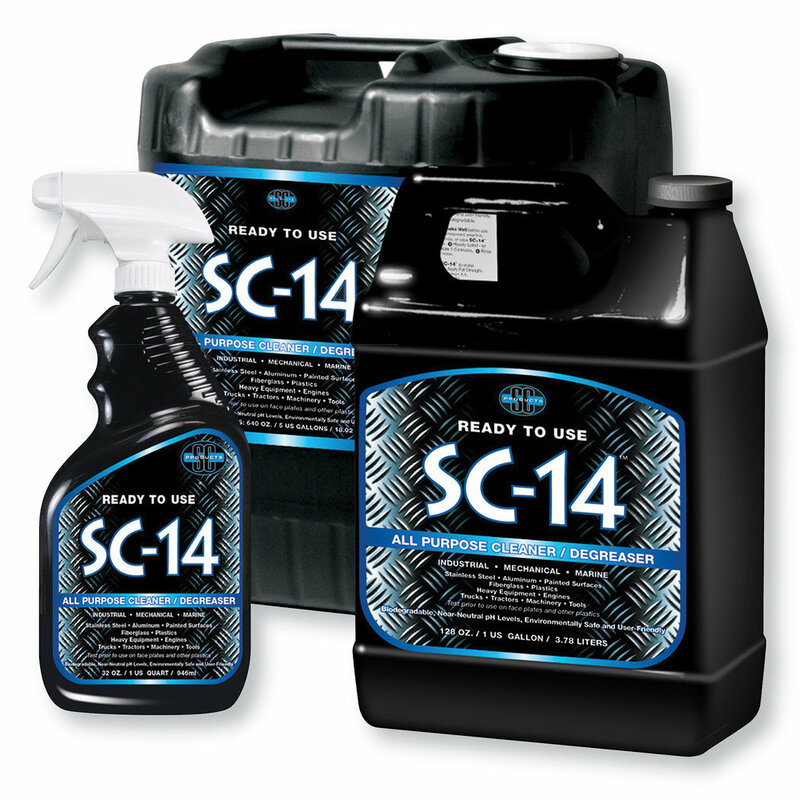 SC14 is biodegradable with a near neutral pH balance, is user friendly and able to cut through soil and hydrocarbons, while remaining safe for use on paint, diamond plate and polished metals. It contains no caustic materials commonly found in other cleaners and will not harm sensitive surfaces or tools. It’s safe for most equipment, machines, floors, metals and fiberglass.